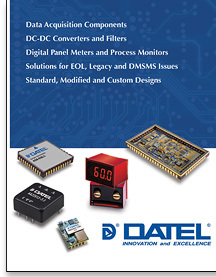 Solutions for Obsolete Components, DMSMS and Custom New Designs. 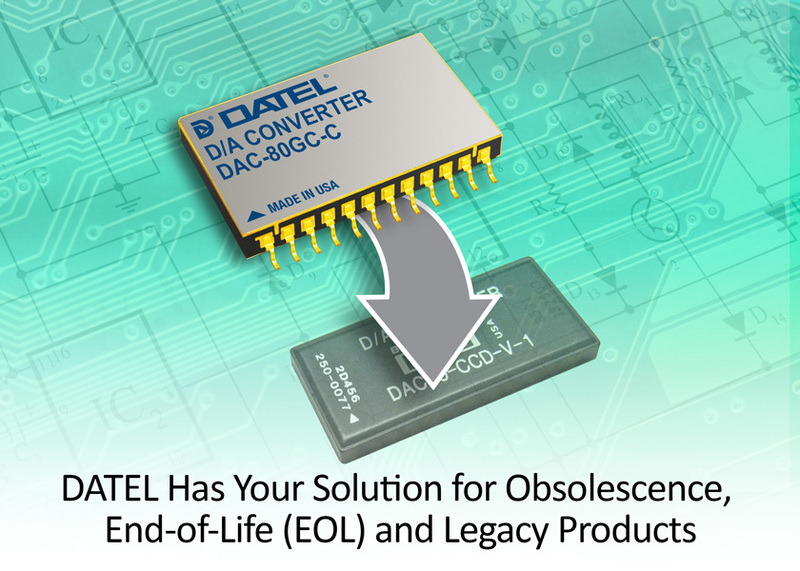 Form-Fit-Function for EOL and obsolete products for Diminishing Manufacturing Sources and Material Shortages (DMSMS). Guaranteed availablity for long-term programs, no obsolescence. 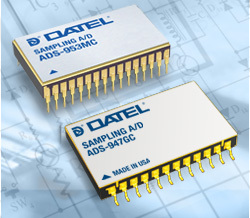 High precision data acquisition components for demanding global markets including military, aerospace, imaging, medical, telecommunications and scientific industries. 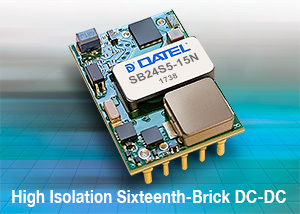 Low-cost, high efficiency and high power density. 10W to 700W output power. Standard, modified or custom designs. Ideal suited for railway, medical, industrial and electronic equipment and more. 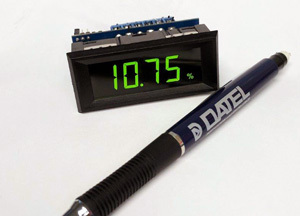 Low cost and expertly designed LCD and LED meters for a wide variety of applications. 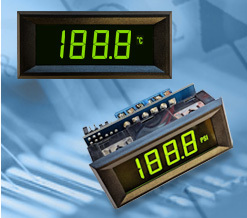 High resolution 3½ and 4½ displays are easy to read for improving visibility. Standard and custom solution. 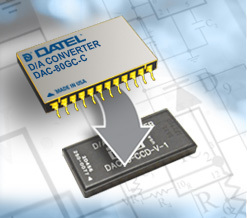 Search for Data Acquisition and DC-DC Converters by attributes: Type, Resolution, Number of channels, Package, Operating Temperature & More. 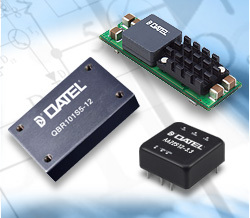 Stay connected... Sign up to receive DATEL's eNewsletter on new product releases and product updates.